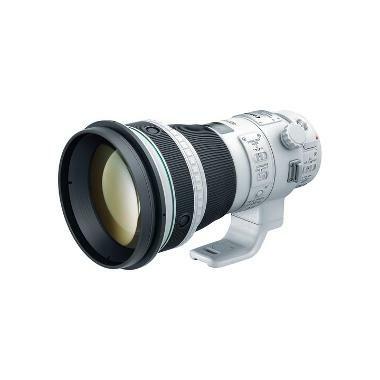 The Canon EF 400mm f/4 DO IS II USM Lens is an updated version of the Canon EF 400mm f/4 DO IS USM Lens and sports an improved minimum focusing distance with reduced distortions and increased clarity. It is designed for full frame cameras but can be used with APS-C sensor EF mount cameras as well. Its weather-resistant design makes it suitable for wildlife photography and the Optical Image Stabilizer lends itself to sports shooting as well as birding. A Power Focus mode keeps the AF quiet and AF Stop buttons near the front of the lens allows you to control your lens and stop AF as soon as you have locked focus. This lens features 3 image stabilization modes: Standard, Panning, and During Exposure Only. At under 5 lbs, this lens is lightweight for its focal length thanks to gapless dual-layer diffractive optics. Its versatile settings make it suitable for a variety of shooting applications, including wildlife and sports.